Microsoft posted revenue of $24.1 billion GAAP and $26.1 billion non-GAAP for its quarter ending 31-Dec-2016. Net income was $5.2 billion GAAP, and $6.5 billion non-GAAP. Enterprise Services revenue decreased 4% (down 2% in constant currency) with declines in custom support agreements offset by growth in Premier Support Services and consulting. 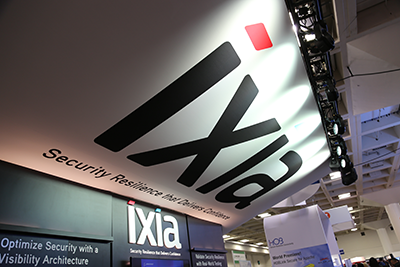 Ixia successfully demonstrated 400 Gigabit Ethernet (GbE) technology by combining eight electrical lanes of 56 Gbps, defined as 400GAUI-8 by IEEE802.3bs, via four-level Pulse Amplitude Modulation (PAM4). Ixia said currently supports and collaborates with two key multisource agreement (MSA) development groups to help drive the effectiveness and efficiency of 400 GbE technology: double-density quad small-form-factor pluggable (QSFP-DD) MSA, and Octal Small Form Factor Pluggable (OSFP) MSA. The QSFP-DD MSA Group is addressing the technical challenges of achieving a double-density interface and ensuring mechanical, electrical, thermal, and signal-integrity interoperability for module components produced by different manufacturers. Collaboration through the MSA is intended to enable faster implementation and easier operation of the high-speed, double-density quad small-form-factor pluggable interface in networking equipment. QSFP-DD addresses increasing global bandwidth consumption with its ability to quadruple aggregate switch bandwidth while maintaining port density. The OSFP MSA is comprised of 49 industry leaders who are tasked with defining the form factor for new 400 GbE transceiver module that will support the full range of 400 GbE optics technologies, from datacenter to metro reach. Juniper Networks reported preliminary net revenues for the fourth quarter of 2016 of $1,385.6 million, an increase of 5% year-over-year and an increase of 8% sequentially. Juniper's GAAP operating margin for the fourth quarter of 2016 was 21.5%, an increase from 21.2% in the fourth quarter of 2015, and an increase from 19.5% in the third quarter of 2016. GAAP net income was $197.4 million, flat year-over-year, and an increase of 15% sequentially. GAAP diluted earnings per share for the fourth quarter of 2016 was $0.51. 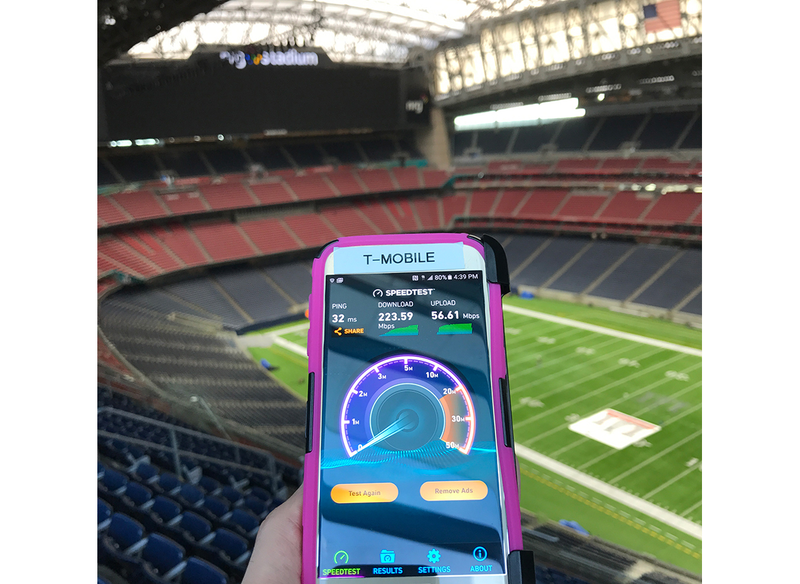 T-Mobile has permanently increased 4G LTE capacity nearly 20x in and around Houston’s NRG Stadium and more than 10x at area airports, venues and hotels in the last year in anticipation of the upcoming Super Bowl. The boost was achieved by using more LTE spectrum, including Extended Range LTE; three carrier aggregation for a total of 35+35 MHz of LTE; new small cells and Distributed Antenna Systems (DAS); 4x4 Multiple Input Multiple Output (MIMO) and 256 Quadrature Amplitude Modulation (QAM). Ericsson and Orange have exceed 10 Gbps peak rates in lab testing for 5G technologies in France. "The significant increase in throughputs, including on the move, is one of the promises of 5G. These ever-increasing speeds will be needed for new use cases such as Virtual Reality, Augmented Reality, or the needs of business environments. Thanks to our 5G partnership with Ericsson, we are preparing the future of networks," says Alain Maloberti, senior vice president of Orange Labs Networks. A video is posted online. MACOM completed its previously announced acquisition of AppliedMicro. MACOM plans to sell off AppliedMicro’s compute business. MACOM Technology Solutions Holdings agreed to acquire Applied Micro Circuits Corporation (AppliedMicro") for approximately $8.36 per share, consisting of $3.25 in cash and 0.1089 MACOM shares per share of AppliedMicro. The deal, which represents a 15.4% premium over AppliedMicro's closing price of $7.25 on November 18th, is valued at approximately $770 million. MACOM plans to divest AppliedMicro's non-strategic Compute business within the first 100 days of closing. The company said it is already talking to interested parties. MACOM said the deal will accelerate its growth in optical technologies for Cloud Service Providers and Enterprise Network customers. Apple reached an agreement with NV Energy to build 200 megawatts of additional solar energy in Nevada by early 2019 to support its Reno data center. "We are proud to play a role in helping Apple meet their energy needs with Nevada's abundant solar resource," said Paul Caudill, president and CEO of NV Energy. "In partnership with our customers, we continue to develop a more balanced fuel mix in a way that benefits the local economy by providing hundreds of jobs for Nevadans, particularly those in the International Brotherhood of Electrical Workers local 357 and 396, and advances the state's policy goals." "Investing in innovative clean energy sources is vital to Apple's commitment to reaching, and maintaining, 100 percent renewable energy across all our operations," said Apple's vice president for environment, policy and social initiatives Lisa Jackson. "Our partnership with NV Energy helps assure our customers their iMessages, FaceTime video chats and Siri inquiries are powered by clean energy, and supports efforts to offer the choice of green energy to Nevada residents and businesses." 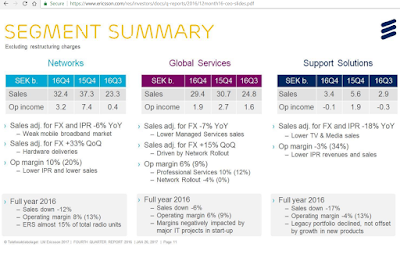 Ericsson reported Q4 2016 revenue of SEK 65.2 billion (US$7.36 billion), down 11% YoY primarily due to the decrease of SEK -5.5. b in IPR licensing revenues. Full-year IPR licensing revenues were SEK 10.0 (14.4) b. Operating income decreased to SEK -0.3 (11.0) b. in the quarter. Ericsson said a number of markets, in regions such as Latin America, the Middle East and Africa, were impacted by a weak macroeconomic environment with a negative effect on mobile broadband investments. The underlying market remained weak in the fourth quarter with further weakness in Latin America. However, hardware deliveries previously planned for Q1 2017 were made on customer requests, and had a positive impact on sales in the fourth quarter. 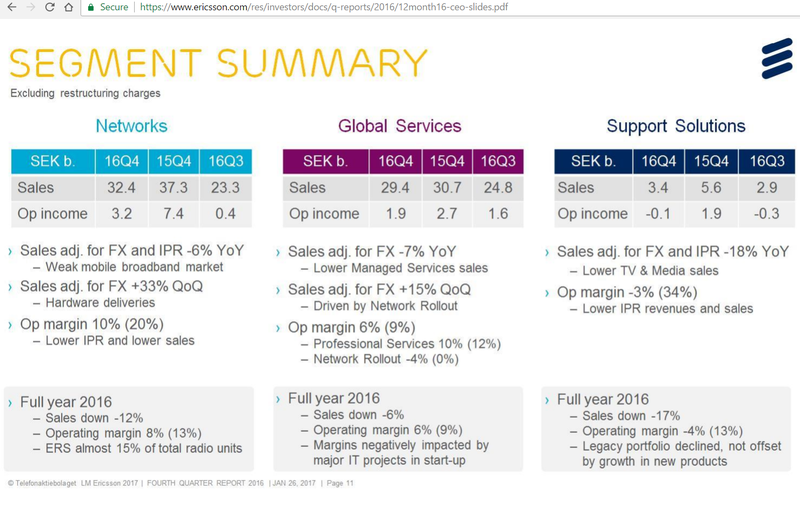 In combination with a weakened SEK versus USD, this resulted in a stronger than expected sequential sales growth in mobile broadband. Global Services sales declined by -4% YoY mainly due to the reduced scope of a managed services contract in North America. Support Solutions sales declined by -39% YoY, mainly due to lower IPR licensing revenues. In addition, TV & Media sales were lower than expected due to a rapid decline in legacy products. Sales in the targeted areas declined by -7% YoY, mainly impacted by lower sales in OSS and BSS following the transition from legacy to new products. 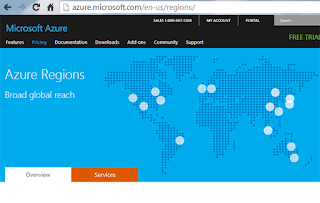 We are allocating resources into our digital transformation projects to secure important deliveries in 2017. Full-year sales for targeted areas were flat and accounted for 20% of group sales in 2016.